Find out what the benefits are of a Wet Room from the experts. 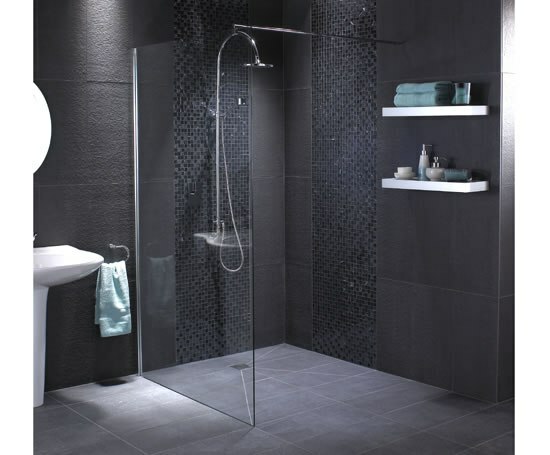 Ever thought of having a wet room installed before? A wet room is a fully open tilled shower area that is deficient of a shower screen and tray. The simple principle of being able to walk into your showering area without having to climb over a shower tray and shut the door behind you is essentially popular with many people. Wet rooms are simply crafted to be exceptionally fashionable. There is no better way to add value to your home than installing a wet room. Besides providing a level access floor, wet rooms can easily prolong the life of tiles and plaster in the building. They also effectively offer protection from moisture damage and leaks. But the best part: they can be fitted anywhere a traditional shower tray may not be possible to fit. Another reason why wet rooms are beneficial is that they can be installed anywhere regardless of the shape and size of the room, or location. Talk of total flexibility. They are also compatible with most under floor heating systems, and they are best suited to bring out a contemporary design in your home. And since they appropriately create more attractive space by opening up your bathroom, wet rooms can be said to offer such a luxurious lifestyle. Wet rooms are easier to clean, therefore, their hygiene levels are excellent compared to the normal shower room. Their safety, when using them, is also tremendous as they do not have steps, which increase the likelihood of trips and slips which can be utterly fatal. In fact, it is their level access floor that is particularly useful when it comes to, say someone taking a shower while in a wheelchair. Level entry to the shower area is by no means essential.